Welcome to day 4 of 31 Days of 15 Minute Craft Projects. 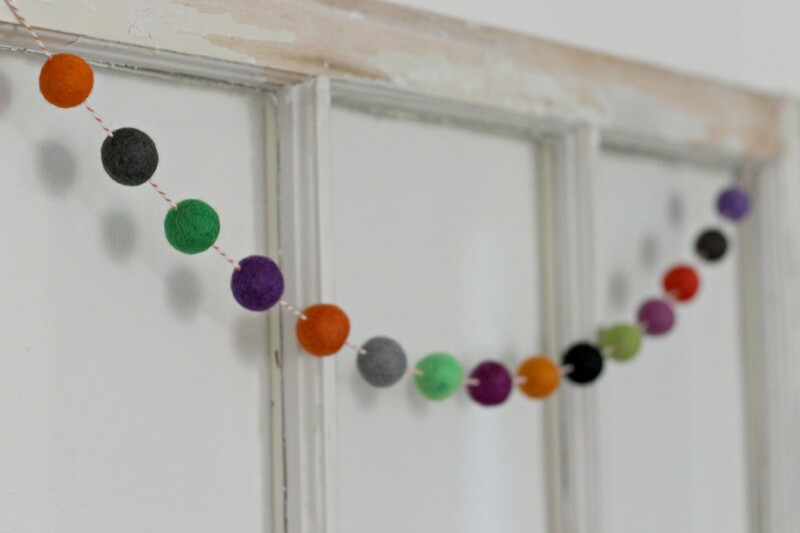 Today we will be making this really simple but super cute Felt Ball Garland. 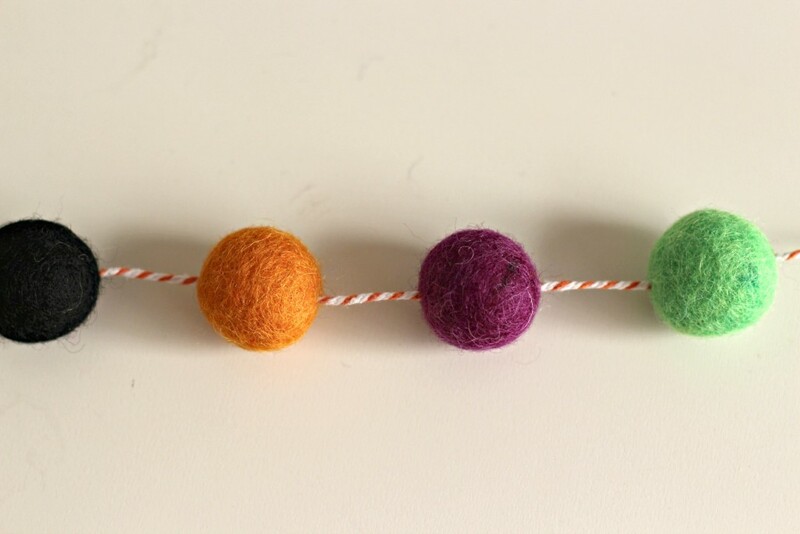 I love garlands and I love felt balls so why not combine them. 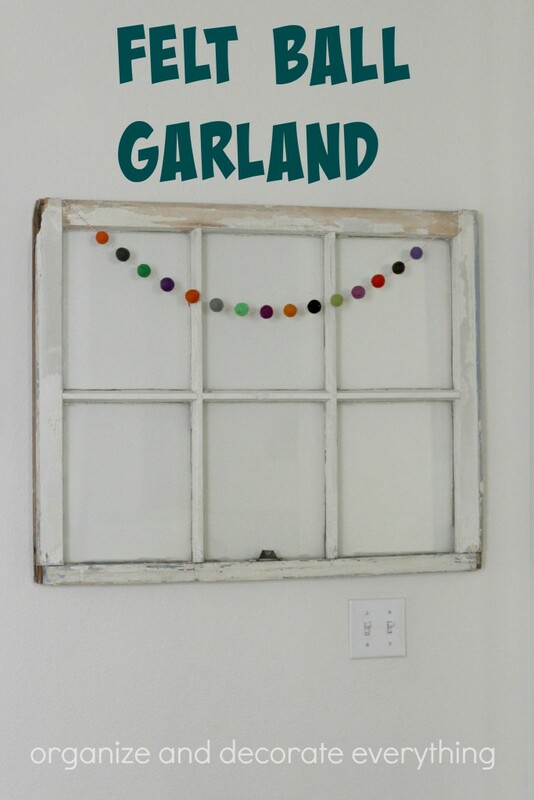 This garland is very simple so it’s perfect for layering over other garlands. It can work with any holiday or celebration depending on the colors you choose. I made this one for Halloween since that’s what I’ve been decorating for this past week. 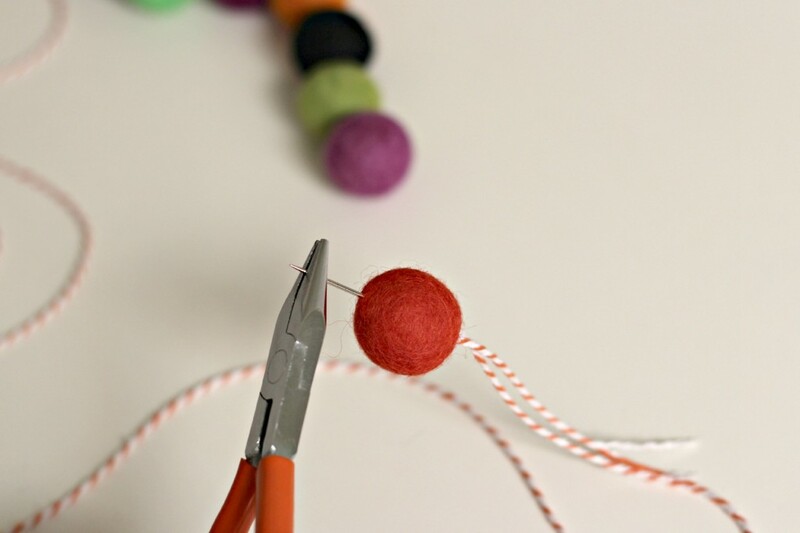 I have had a hard time finding felt balls locally, but some boutiques and craft shops carry them. 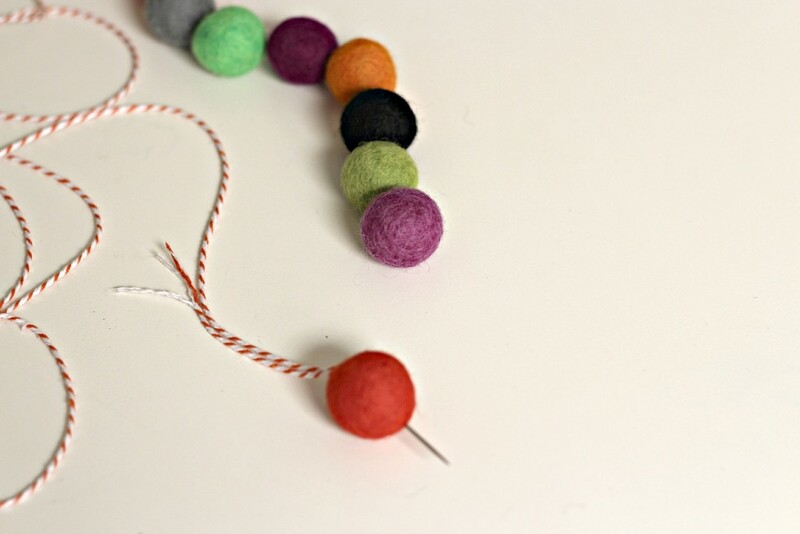 They have many sites on-line that carry felt balls in a variety of colors. Decide on the color order you want the felt balls. Thread them on the baker’s twine, which is a little easier said than done. I had to use little pliers to pull the needle through the ball and onto the twine. Some balls come with a little hole through the center but these didn’t, so they took a little effort to get the twine through. Space the balls about a finger and a half apart for this look. I wouldn’t space them more than 2 fingers apart. I love having these empty windows in my living room. They are perfect for holiday or seasonal decorating. The garland looks perfect on it. 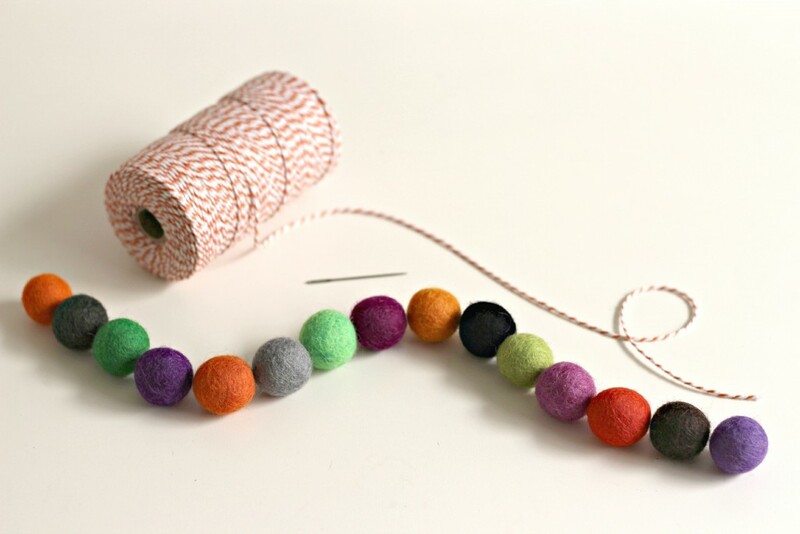 Felt balls look great displayed in a decorative bowl too. I’ll be sharing the rest of my Halloween decorations later this week. This is so, so cute, and easily modified to fit any decor, season, or holiday! I can’t wait to try this project!